Washington – Democrats running for the 5th District congressional seat have vastly outpaced Republican candidates in campaign fundraising, the latest reports filed with the Federal Election Commission show. Former Simsbury First Selectwoman Mary Glassman raised about $380,000 from April 2, when she declared her candidacy for Rep. Elizabeth Esty’s seat, to June 30, the end of the latest FEC filing period. A notable contributor to the Glassman campaign is Rep. John Larson, D-1st District, who donated $5,000 from his leadership political action committee, called the Synergy PAC. 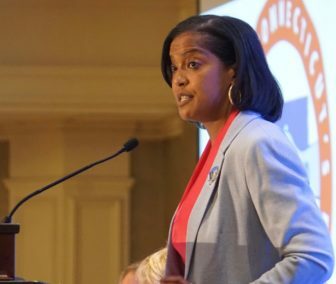 Fellow Democrat Jahana Hayes, a former National Teacher of the Year from Waterbury, raised about $295,000. She declared her candidacy about a month after Glassman. Notable contributors to the Hayes campaign are Robert and Adriana Mnuchin, the father and stepmother of Treasury Secretary Steven Mnuchin, and Rep. Jim Clyburn, D-S.C., the assistant minority leader in the U.S. House of Representatives. Although Steven Mnuchin is promoting GOP tax and monetary policy in the Trump administration, Robert Mnuchin has a history of donating to Democratic candidates in the state, including Sen. Richard Blumenthal and Esty, who is not running for re-election following a hail of criticism of her handling of an abusive staffer. Meanwhile, the Republican candidate for the 5th District seat who has raised the most campaign cash is Ruby Corby O’Neill, who reported raising $111, 273. But $81,300 of that amount is money O’Neill loaned to her campaign. 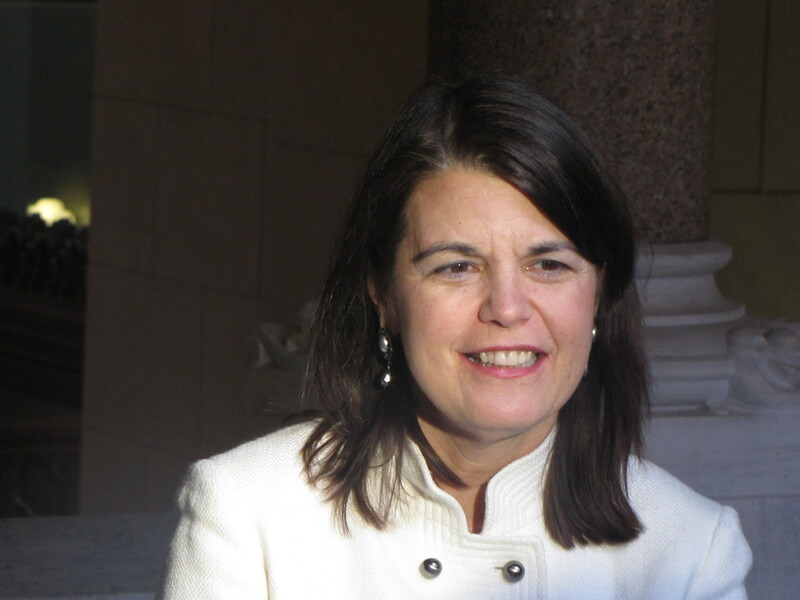 Many of the individual donations to O’Neill’s campaign, which totaled about $30,000, came from members of Connecticut’s GOP political establishment, including state Reps. Terrie Wood, R-Darien, William Petit, R-Plainville, Darien First Selectwoman Jayme Stevenson, who is running for lieutenant governor, former GOP gubernatorial candidate Tom Foley, and former state GOP chairman Chris Healy. O’Neill’s husband, Rep. Arthur O’Neill, R-Southbury, also contributed. Despite support from high-profile Republicans in the state, O’Neill is not the endorsed Republican candidate in the race. That title belongs to former Meriden Mayor Manny Santos, who has raised about $23,000. A third Republican who will be on the ballot with O’Neill and Santos in the Aug. 14 primary, businessman Richard DuPont, raised about $80,000 with the help of a $45,000 personal loan to his campaign. Glassman and Hayes, who will face off in the Democratic primary on Aug. 14, are already raising money from special interests through political action committees. Glassman raised $10,300 from PACs representing Webster Bank, the American Bankers Association as well as Larson’s Synergy PAC.